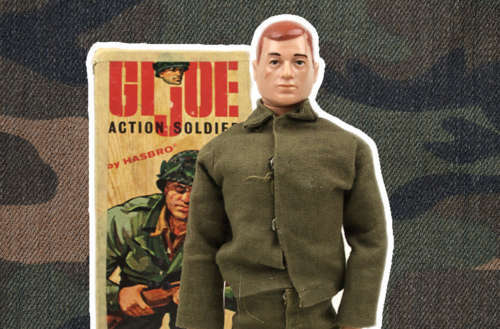 History of the Action Figure, Part 1: G.I. Joe and the Rise of the Man-Doll! Let’s face it, action figures are awesome. These little, plastic, posable toys give us a personal representation of our favorite characters from TV, movies, cartoons, video games (or all of the above) that you can pose, display and enjoy from the comfort of your home or office. Or, in the case of action figures’ original intention, they’re fun to play with. Watching a child roleplay with action figures while they replay favorite scenarios or create completely new and original stories for their toys is a form of entertainment unto itself. These little proxies create the possibility of a reality that any child can completely control, something that isn’t normally a feature of their everyday life (nor should it be). Be you a kid or a collector, when it comes to action figures, what’s not to love? But where did these little plastic objects of affection originate? Let’s take a deep dive. Believe or not, we owe our entire collections of action figures to one woman. Maybe you’ve heard of her, goes by the name of Barbie? In 1959, Mattel co-founder Ruth Handler introduced the first fashion doll for girls. Molded entirely of plastic (with rooted hair), Barbie featured an endless wardrobe of outfits and accessories and was an instant (and evergreen) hit with girls. With Barbie’s extreme popularity, it was only a matter of time before it occurred to someone to find a similar approach for the boy’s market. Enter Stan Weston, an acquaintance of Ruth Handler who was also in the toy industry. In the early ’60s, many boys liked two categories more than any other: the military and the Old West. As Weston researched military history, it became clear that in this category, the doll could have a variety of military uniforms from around the world and would need vehicles and all kinds of other supplemental hardware. The doll itself followed the Barbie formula with one standard body (a “buck,” as we call them in the toy industry) molded in plastic with a multitude of cloth uniforms and plastic accessories. Weston pitched his idea to Hasbro’s Vice President of Development, Don Levine, at the 1963 World’s Fair and cultural history was made. Weston received $100,000 for the G.I. Joe concept and now it was Levine’s job to make it a reality. The toy was called G.I. Joe after a generic term for a soldier, coined during WWII. 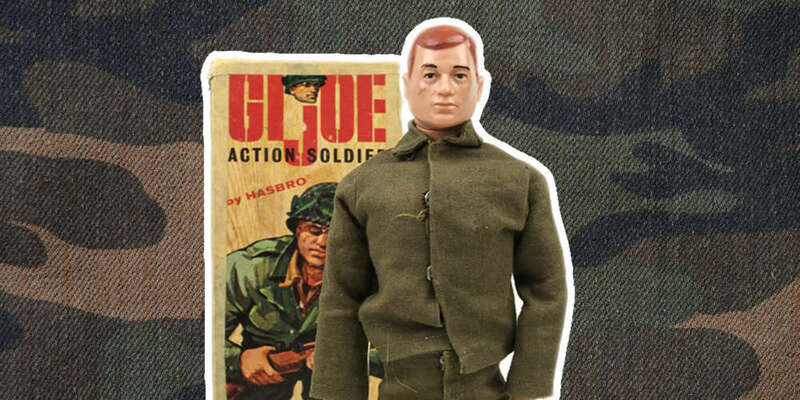 The term “action figure” was coined for G.I. Joe as Levine clearly understood that one could not market a “doll” to boys in the early ’60s. It perfectly suited the toy, as G.I. Joe was specifically designed to get into “action-packed” situations. The original G.I. Joe made his debut in time for the 1964 Christmas toy-buying season. He was 12” tall, with 21 moving parts, and his line featured uniforms for every branch of the military. Eventually Joe’s success and popularity grew to rival his female counterpart, and much later, in 2004, it was inducted into the Toy Hall of Fame. G.I. Joe was also voted the most popular toy of the last 100 years in a poll conducted by the Children’s Museum of Indianapolis. Hasbro also licensed G.I. Joe to companies in other, international markets, in a move that would help create global popularity for action figures. These different licensees had a combination of uniforms and accessories that were usually identical to those manufactured for the U.S. market by Hasbro, along with some sets that were unique to local markets. For example, Palitoy (in the U.K.) had its own intellectual property in “Action Man” which came with custom molded heads and uniforms. In the Japanese market, a company called Takara manufactured an action figure incorporating the licensed G.I. Joe torso for Henshin Cyborg-1, using transparent plastic that revealed cyborg innards, a chrome head and cyborg feet. G.I. Joe was a star on the world stage, and the 12” scale action figure was the industry standard, but not for long. These much smaller G.I. Joe action figures didn’t come around until much later. The Mego Corporation, founded in 1954 by D. David and Madeline Abrams, thrived in the 1950s and early 1960s as an importer of dime store toys — until the rising cost of newspaper advertising forced the corporation to change its business model. In 1971 the Abrams’ son Martin took over the business, and the company shifted its focus to the production of action figures with interchangeable bodies. 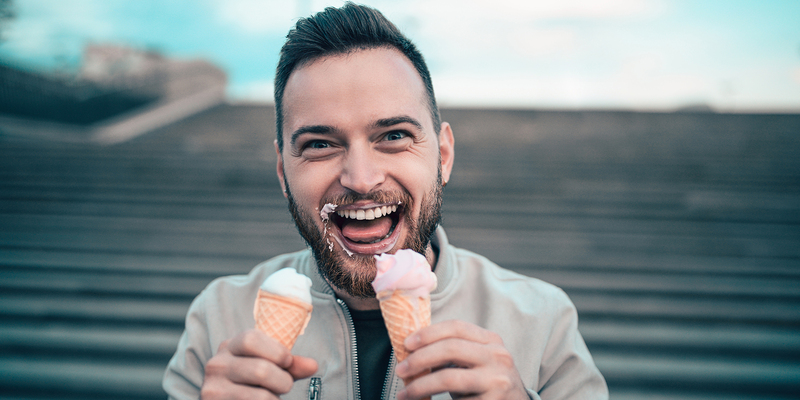 Generic bodies could be mass-produced and different figures created by interposing different heads and cloth costumes on them. His true stroke of genius was his acquisition of popular licensed properties to base his toy lines on. The same year he took over, Martin Abrams bought the rights to produce action figures for both National Periodical Publications (DC Comics) and Marvel Comics. 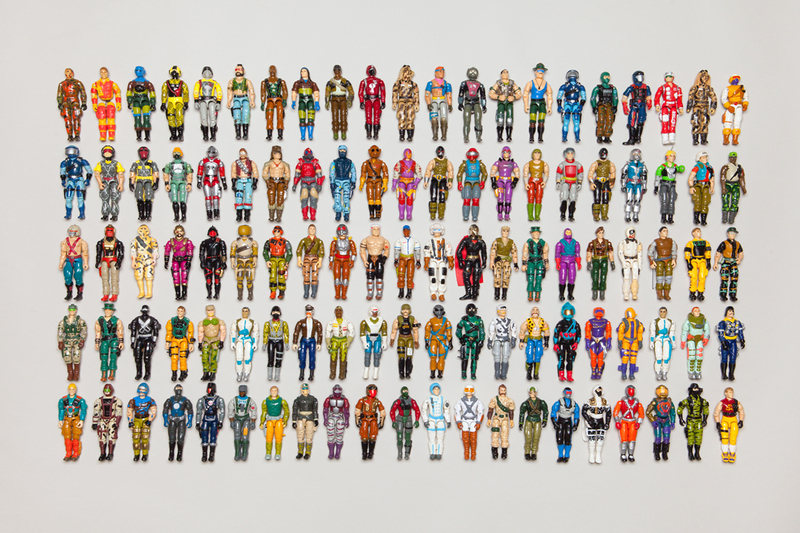 This line of toys was called “The World’s Greatest Super Heroes.” And with the popularity of this line of figures, 8” became the new standard scale throughout the ’70s. Mego went on to purchase the licensing rights of motion pictures, television programs and comic books, eventually producing doll lines for Star Trek: The Original Series, The Wizard of Oz, Happy Days, Laverne & Shirley, Our Gang, Starsky & Hutch, The Waltons and Tarzan. Beginning in 1974, Mego released The Planet of the Apes figures. These were the first action figures with a film tie-in. So while G.I. 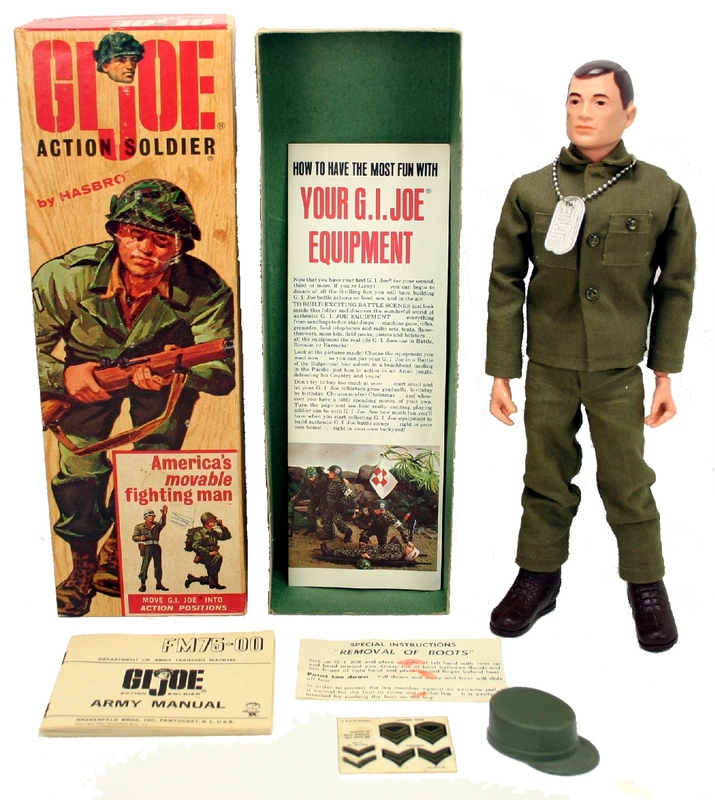 Joe had to maintain its own popularity solely through its original toy releases, licensed Mego figures had existing, external, popular properties to promote and increase sales. It worked, making Mego the sixth-ranked American toy manufacturer at the time, based on retail sales. But nothing lasts forever, as they say, which we’ll examine in the second part of our look at the history of action figures.